Did you know that around 67 percent of U.S. households play video games and kids no longer dominate the gaming world? According to the Entertainment Software Rating Board (ESRB), in 2010, just 25 percent of gamers were under 18. The average age of a gamer is actually 34, and the most frequent game purchaser is often around 39. Further, around 49 percent of gamers are 18-49 years of age and twenty-six percent are over 50. Finally, around two out of every five players are female. Fortunately, today’s game design programs have been successful at keeping up with the ever-changing face of the game industry by constantly tweaking their programs to stay a step ahead of the game. Not only do today’s programs teach aspiring game designers how to develop and design video games, they teach students how to analyze demographics in order to target the right groups, they teach them how to start and maintain a business, pitch ideas, and manage design and development teams. In the State of Wisconsin, several major universities offer top-tier programs for today’s aspiring game designer. Just a few include University of Wisconsin Whitewater-Media Arts and Game Development (MAGD) program and Carroll University’s BS in Information Technology-Game Development. Wisconsin is home to 84 Title IV degree-granting colleges and universities. These schools are eligible for federal financial aid programs, which makes them more accessible to students with financial need. Even better is, several of these Title IV’s offer programs for aspiring game designers. Scroll through the list below to review Wisconsin’s best options for aspiring game designers and developers and what they have to offer. Game designers and developers are both talented artists and skilled software developers. However, salary and employment figures for software developers best reflect what aspiring game designers can expect in the areas of employment and salaries. According to the Bureau, the U.S. is home to more than 1 million software developers, averaging $90,060 to $99,000 per year. The lowest 10 percent earn less than $55,190, and the top 10 percent earn more than $138,880. 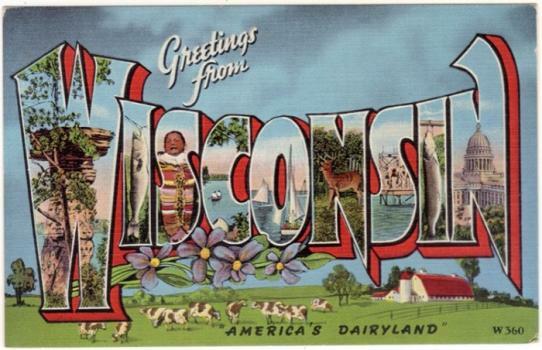 Wisconsin is home to more than 13,000 software developers averaging $80,720-$84,350 per year. Several other sources offer salary information for game designers and developers. According to Gamasutra’s latest Game Developer Salary Survey (2014), game developers nationwide averaged $83,060 in 2013. It is important to note that salaries for game designers and developers vary based on location (city), company, experience, employer, and more. For example, according to Indeed, Milwaukee-based game developers average around $93,000 per year, while Appleton and Green Bay-based developers earn slightly less—$89,000 per year. According to the site, Wisconsin game designers and developers average $91,000 per year overall. While employment opportunities for game designers and developers are available in many cities across the state, a larger number of opportunities are available in the state’s largest city—Milwaukee. Other major cities such as Madison, Green Bay, Kenosha, and Racine are also worth exploring.